The LA Times said today that Apple’s illegal acts to conspire with publishers to fix the price of e-books was “a sign of an industry grappling with disruptive change.” Hogwash. Here’s what it is: an illegal act by our country’s highest valued business. Apple decided that it couldn’t compete legally with Amazon.com’s Kindle, so it conspired with 5 leading book publishers to fix prices at what these unlawful actors decided was “a fair price.” I don’t know about you, but any time a bunch of fat cat bureaucrats have secret meetings to decide what they think is a fair price, I’m offended. I am always offended by illegal activity. Apple was on the other side of the problem when it helped bring an end to the old school music industry. I was more than a passive consumer in this process: Apple’s mandate that they would sell recorded music at 99 cents for a single was one of the signposts on the highway that lead to the closing of the business that employed me for 22 years. Apple was in the right then … they told fat cat record label execs that they would not allow iTunes to support the bloated CD prices of the day. Remember paying $17.99 for a CD? Remember CDs being more expensive that hit movie DVDs? Thankfully, those days are gone. Apple’s 99 cent singles were very low priced — but remember the context. When the iPod was released in 2001, seemingly every high school and college student was stealing their music with downloads from illegal sites like Kazaa or Napster. Some people are still illegally downloading, and many court cases are still in process. Those thieves should be punished. I am always offended by illegal activity. Understand, I’m a big fan of free enterprise. If music retailers can get you to pay $17.99 for a CD, then I’m all for it. On the other hand, it would be illegal for retailers & music labels to collude with each other to ensure that those CD prices were always $17.99. That’s criminal conspiracy — which is exactly what the book publishers did with Apple. Who would have thought that Apple would have been so right with music retailing and so wrong with book retailing? 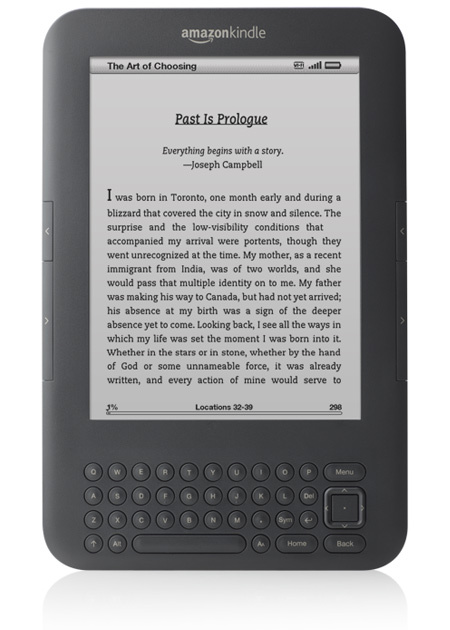 I love my Kindle, and have read over 200 books on it. Why did Apple engage in these criminal acts? You’re going to read a lot of whining by the book publishers that they need to be able to pay authors “fairly.” That whining will include statements that Amazon’s pricing policies are “too low” and “unfair.” Hogwash. Authors should be paid by their publishers as much as possible, given what readers are willing to pay for their books. I’ve happily paid $10.99 for a paperback. I’ve happily paid $15.99 for an e-book. If I didn’t want to pay that much, then I didn’t have to buy that book. That’s fair. It’s certainly true book retailers are under no obligation to sell their e-books through Amazon. Amazon charges substantially for publishers to sell their books directly through their portal (typically 30% of retail). Some publishers, like Baen Books, do not use Amazon for e-books, and “force” consumers to buy electronic books exclusively through their own website, and then upload their books into your mobile device by hand. That way, Baen gets to keep 100% of the revenue … but they make uploading the books much more difficult. Their choice. Personally, I wish that Baen didn’t do it that way. But they have authors I like to read, so I go jump through their hoops so I can read about the Liaden Universe, or get the newest sci fi by John Ringo or David Weber on my Kindle. 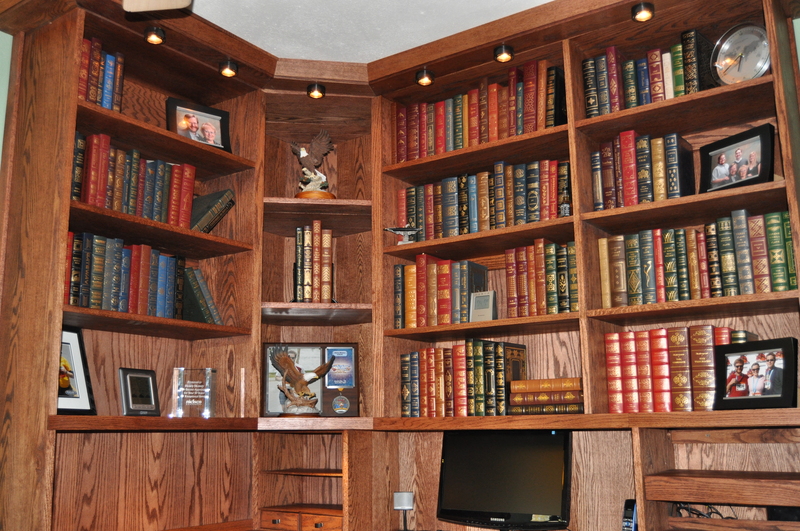 I am a voracious reader, and being a consumer, I don’t want to over pay for the books I read. When I got my Kindle, it literally changed the way I read. I used to carry 5 paperbacks with me on business trips, and I had to buy more at many airport bookstores. Today I only carry my Kindle (which has 27 books on it waiting to be read). There is no doubt that the court approval of the settlement with the book publishers and Apple will change the way that books are retailed. When the music business lowered their prices, they had less money to pay new artists. If book publishers can’t illegally set high prices with Apple, then they will have fewer resources to develop new authors, and less money to buy promotional campaigns for established authors. However, new authors will seize the opportunity to embrace their marketplace in new ways. 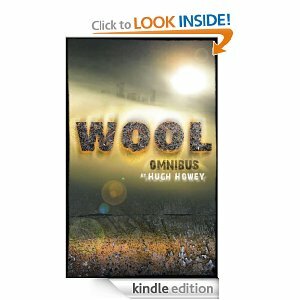 Hugh Howey, author of Wool and the Molly Fyde saga, is an incessant promoter on Facebook. His mastery of social media is fueling his career … and his passion is not matched by the marketing methods of traditional publishers for best selling authors in your brick & mortar bookstore. The bottom line is clear: the rule of law prevailed and punished book publishers and Apple. Consumers win. Readers win. You win.